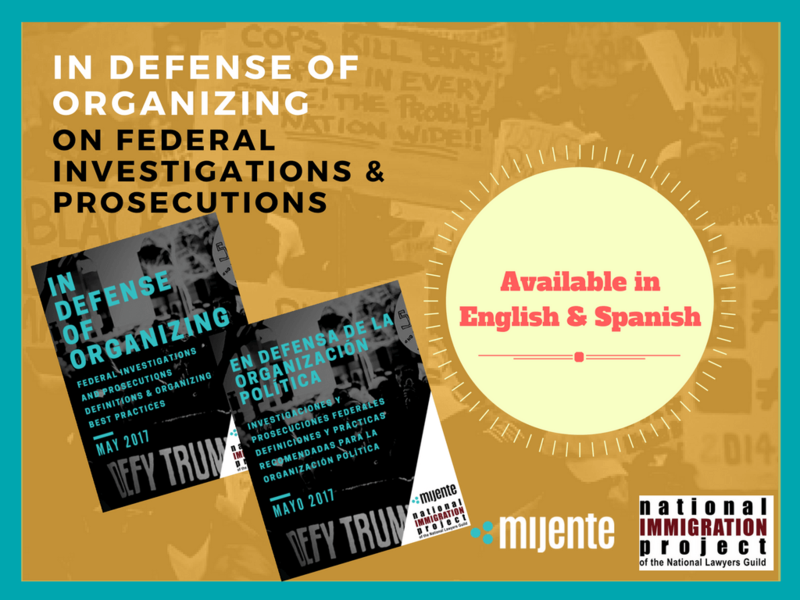 On April 26th, Mijente and the National Immigration Project of the National Lawyers Guild hosted a webinar on federal investigations and prosecutions against organizers and community advocates. 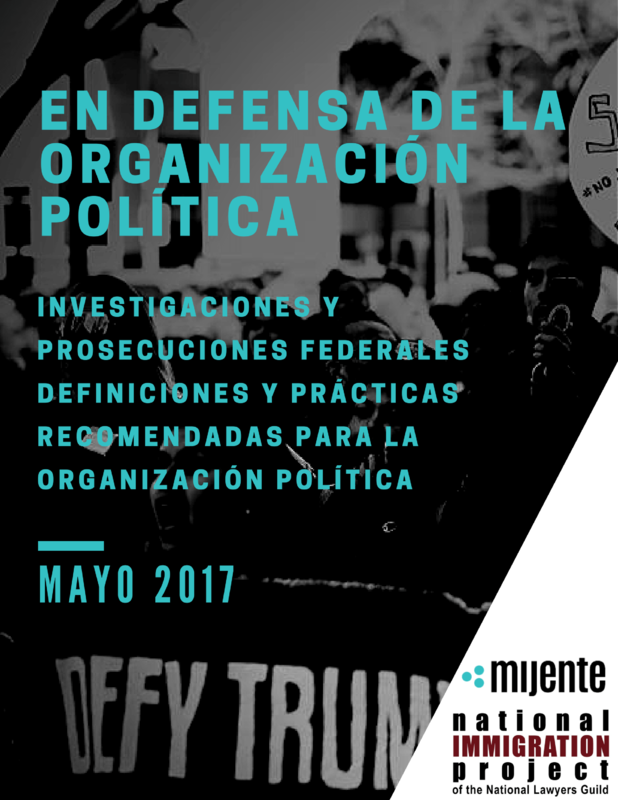 Today, both parties release a guide that outlines how community-based organizations can develop a security and defense plan in the event that federal law enforcement targets leaders or staff for federal investigation and prosecution, such as smuggling, harboring, and transporting charges and related federal crimes. Under the 45 regime, there is an increased likelihood that federal law enforcement agencies such as DOJ, ICE or FBI under the Trump Administration will retaliate against organizations in an effort to prevent our people’s democratic participation in political dissent and protests. 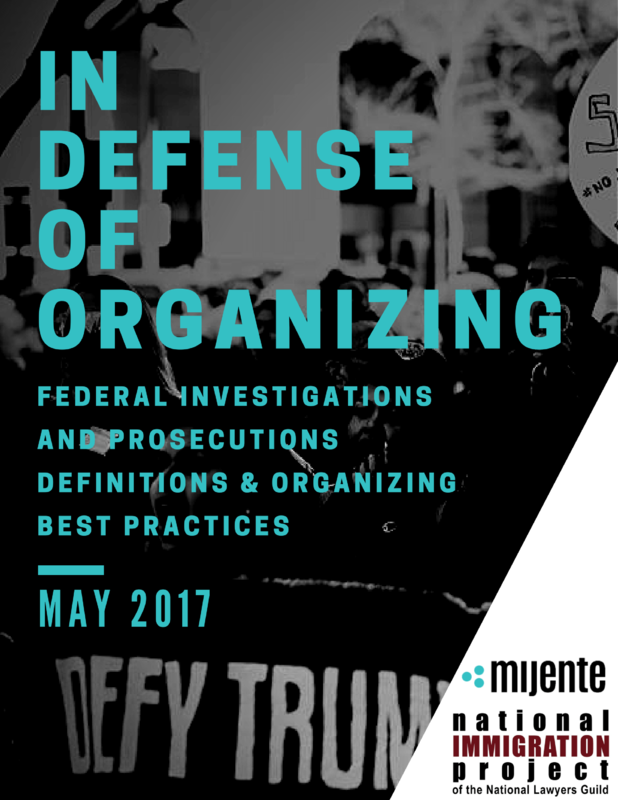 “The reality is that undocumented organizers, people who defend undocumented immigrants, and others who may face targeted immigration enforcement should have a plan for organizing and legal defense should the federal government prosecute them,” said Jacinta Gonzalez, Field Director at Mijente. 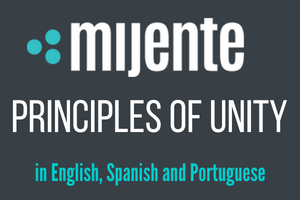 To download the English version of the guide click here and the Spanish version here. 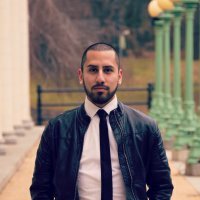 Mario Gil Jr. is a second generation Mexican-American from Brooklyn, NY. In his spare time, he writes as a meditation practice, experiments with photography, and walks puppies in New York City. Follow him @gilmario_jr.